Abu Dhabi, April 17, 2004- The Founders’ Committee of "Finance House" has announced that the opening of the public subscription in the Finance House IPO is set for 24th April 2004. The subscription period would continue for 13 days, closing on Thursday 6h of May 2004. The Company is offering 110 million shares for public subscription. Each share bearing the nominal value of (1) One Dirham in addition to a subscription fee of Five Fils per share. The Capital of the Company is Two Hundred Million Dirhams (AED 200) and the Founders have subscribed for Ninety Million Dirhams (90), being 45% of the Capital. National Bank of Abu Dhabi is leading a syndicate of subscription banks including Emirates Bank International, Emirates Financial Services, National Bank of Fujairah and Invest Bank. And, for the First time in the UAE, the Founders of Finance House have invited a number of brokerage firms to officially participate in the subscription process, in an attempt to facilitate the subscription process for investors. These brokerage firms include National Brokerage Co., Emirates Commercial Center, First Gulf Financial Services Center, Al Sharhan Brokerage Center, Union Brokerage Co. and Al Wathba Stocks & Bonds Center. Subscription applications and the offering prospectus will be available at the participating branches of the above banks and brokerage firms on Saturday 24th April 2004. In order to facilitate the subscription process for the public, subscribers are requested to issue crossed cheques (account payee only) drawn on any bank operating in the UAE or they can debit their accounts at the participating banks. Cash subscription is prohibited. 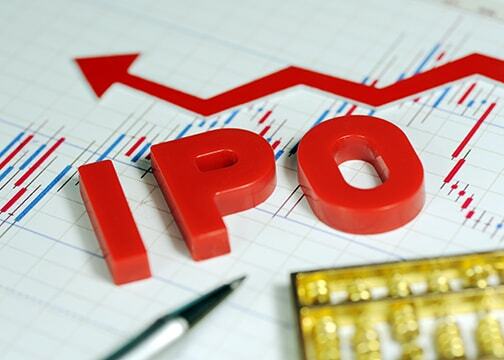 Subscription in the IPO of Finance House is restricted to UAE nationals, above 18 years of age, in addition to companies wholly owned by UAE nationals and UAE Federal and local government institutions. The Founders’ Committee decided to adopt a direct proportionate allocation strategy, where oversubscribed amounts along with excess fees would be returned to the subscribers upon allocation. The company confirmed that it will not retain any funds in excess of the IPO amount on offer, and that all excess subscription shall be refunded. The minimum subscription amount is 10,000 shares with multiples of 1,000 shares. There is no maximum subscription amount, but, during allocation no shareholder will be allotted more than 5% of the capital of the Company in accordance with the Company’s articles of association. The incorporation of “Finance House” was approved by the Executive Council of Abu Dhabi Emirates last month. The mission of the Company is summarized as “Providing high quality and unique financing and investment products and service that satisfies the requirements of a cross segments of the society through allocating the best financial expertise and using modern technology in away that will achieve high returns for investors, thereby, supporting the economic development of UAE’s economy”.